Today only, you can get this Melissa & Doug Classic Wooden Peg Puzzles 3-Pack on sale for $11.33 (Retail $19.99). The Melissa & Doug Classic Wooden Peg Puzzles 3-Pack features appealing, vibrant, and engaging wooden peg puzzles. 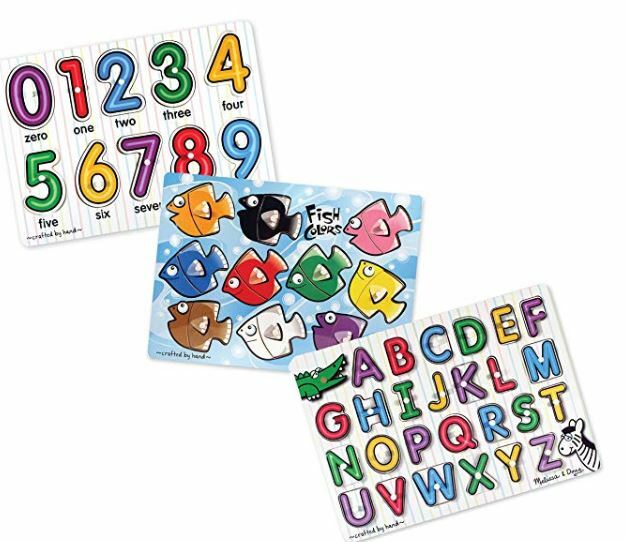 The set includes (2) See-Inside Alphabet and Numbers puzzles and a Fish Mix & Match Colors puzzle.